When Alexander Siradekian designs his shoes, he strives to emphasize the beauty of the female foot and adorn it with graceful lines, but at the same time not forgetting about comfort and convenience. For his S/S 2015 collection Siradekian took inspiration from Vivaldi's four violin concertos Four Seasons. 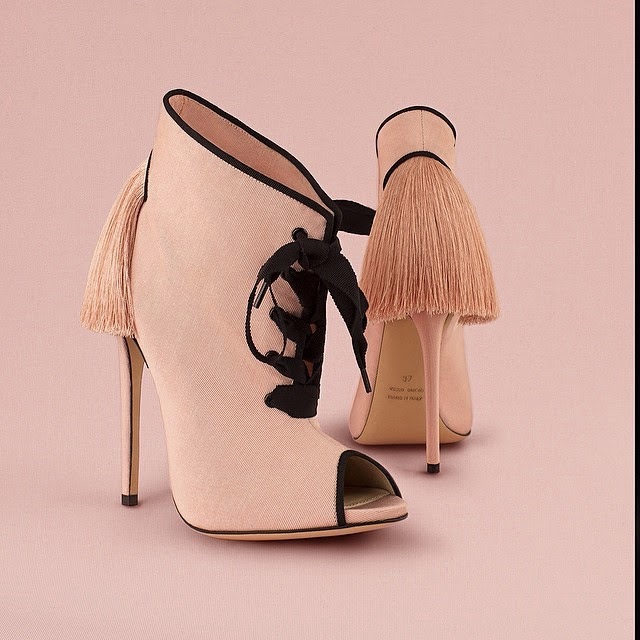 The colors of the shoes remind me of fresh green leaves, lilacs, rhododendron and other flowers, and they are all adorned with Siradekian's signature tassel-tail. Here are a few examples from the collection. To see them all, go here! Wow, I love these!!! I can't walk on them either, but they are just gorgeous! And the colors are perfect!